Enter your email address below to receive a notification when The Witches Bounty by The Witches Moon™ starts accepting new sign-ups! 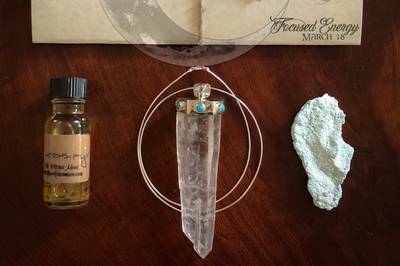 Enter your email address below to receive a notification when The Witches Bounty by The Witches Moon™ is accepting new sign-ups again. 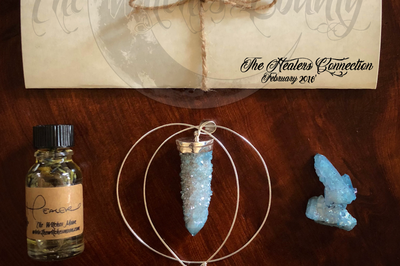 Any subscription purchased during a given month will be receiving the following month's box as their first box. 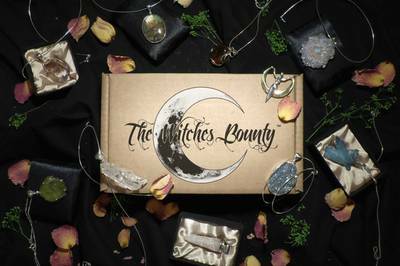 Boxes are shipped between the 1st and 15th of each month. 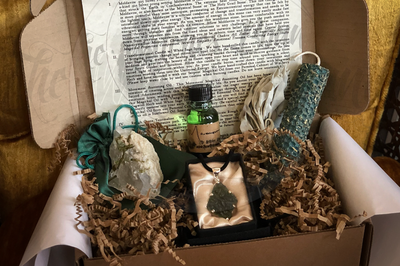 For example: If you purchase your subscription in November, your first box will be the December Box, being shipped between December 1st and 15th. 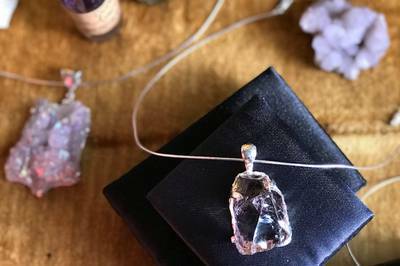 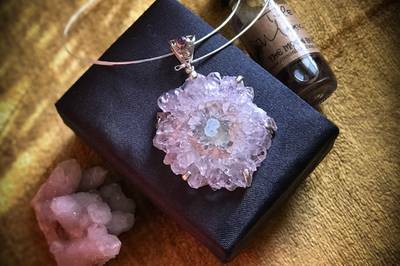 The Witches Bounty is a Monthly Service, providing the highest quality Crystal & Metaphysical Necklaces/Pendants. 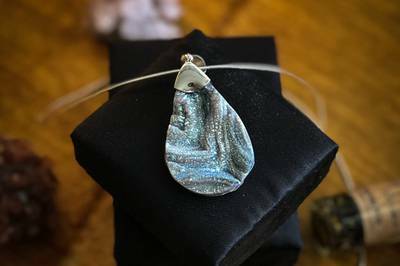 These beautiful one-of-a-kind pendants are stored in Sedona, Arizona, known for it's Energy Vortexes and Metaphysical Communities. 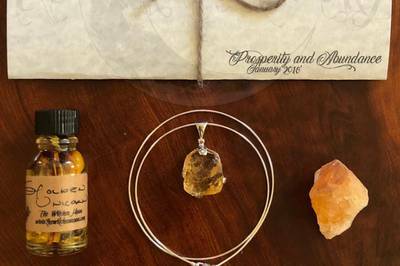 Each box includes a Pendant, Crystal and Anointing Oil.